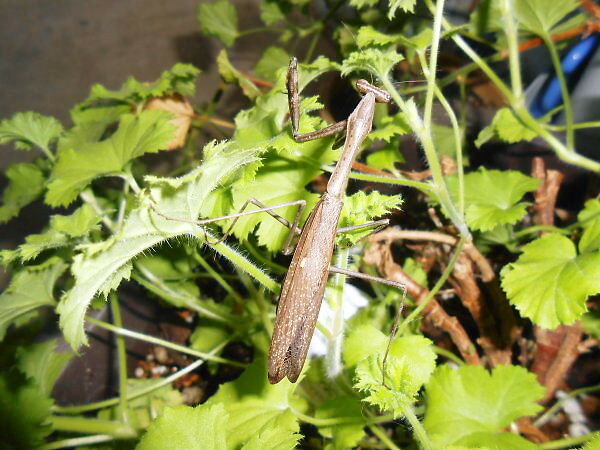 The first day R found a baby-mantis was June 26th (Wed). Then after several days, it went missing. 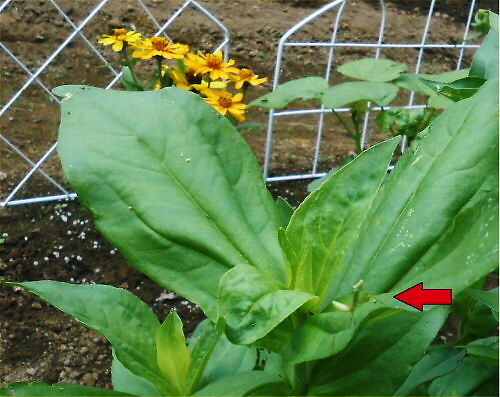 On Monday, July 1st, that missing mantis was on a leaf of “zinnia”. Its length was less than one cm. I used to hope it won’t be eaten by a gecko or a snake! On Friday, October 25th, R found it again! I heard it was waking on the entrance of LL Shihoya Arai School, beside LL Garden. R put it on “a plant-pot of pelargonium”. According to an etymological dictionary, the origin of “pelargonium”, a word of Greek, means “a stork”. Its Japanese word is “Natsuzaki-tenjiku-aoi” and its word of the flower language is “affection”. Four months passing, It is about 3 cm long and its color is now brown though it was green at that time. Are the LL students who had often asked Yoshy, “Did you find the baby-mantis?” looking tat this blog?